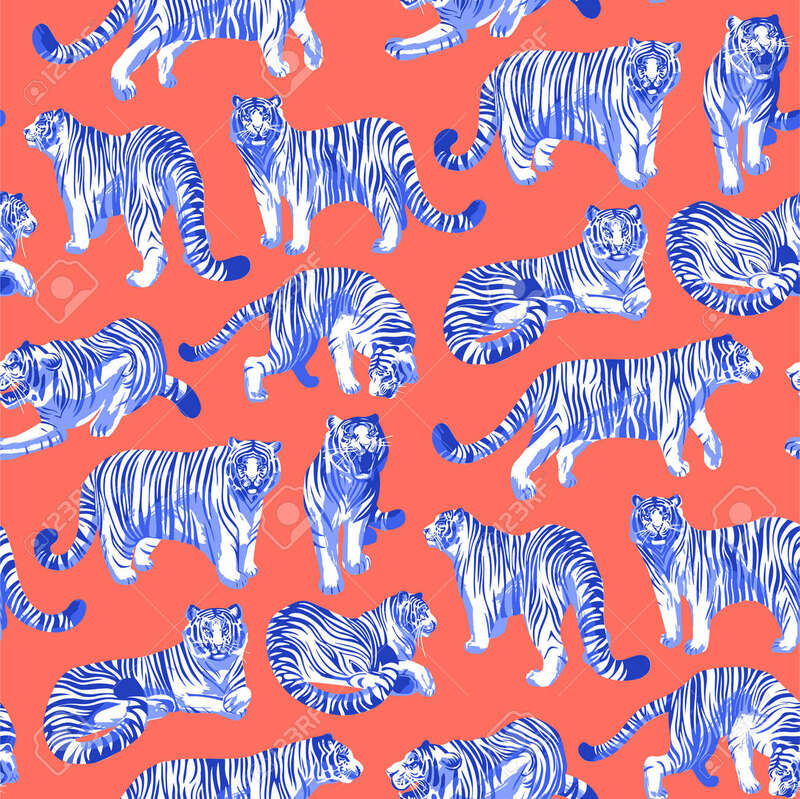 Graphic Seamless Pattern Of Tigers In Different Poses. Vector Trendy Design Royalty Free Cliparts, Vetores, E Ilustrações Stock. Image 114006427.